In our human frailty we tend to lean on our own will for our life,but when we’re met with a powerless situation we soon learn that Gods will is stronger than our own.Is it any wonder Jesus said He always did what pleased His Father(John 8:28-32). 28 Then said Jesus unto them, When ye have lifted up the Son of man, then shall ye know that I am he, and that I do nothing of myself; but as my Father hath taught me, I speak these things.29 And he that sent me is with me: the Father hath not left me alone; for I do always those things that please him.30 As he spake these words, many believed on him.31 Then said Jesus to those Jews which believed on him, If ye continue in my word, then are ye my disciples indeed;32 And ye shall know the truth, and the truth shall make you free. Gods ways are above our ways in the earth,and His thoughts are higher than our thoughts.He is very merciful and if we truly turn to Him, He will pardon our sin! (Isaiah 55:6-11). 6 Seek ye the Lord while he may be found, call ye upon him while he is near:7 Let the wicked forsake his way, and the unrighteous man his thoughts: and let him return unto the Lord, and he will have mercy upon him; and to our God, for he will abundantly pardon.8 For my thoughts are not your thoughts, neither are your ways my ways, saith the Lord.9 For as the heavens are higher than the earth, so are my ways higher than your ways, and my thoughts than your thoughts.10 For as the rain cometh down, and the snow from heaven, and returneth not thither, but watereth the earth, and maketh it bring forth and bud, that it may give seed to the sower, and bread to the eater:11 So shall my word be that goeth forth out of my mouth: it shall not return unto me void, but it shall accomplish that which I please, and it shall prosper in the thing whereto I sent it. 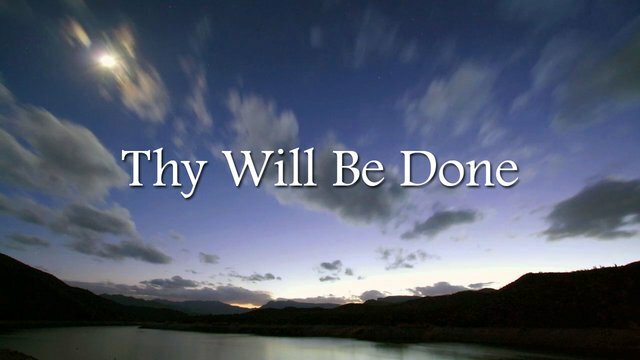 The Lords prayer teaches us the importance of His will in the earth! (Matthew 6:9-13). What is the truth that sets us free? ← ASCENSION of CHRIST… The Crowning Glory of His+ Resurrection !